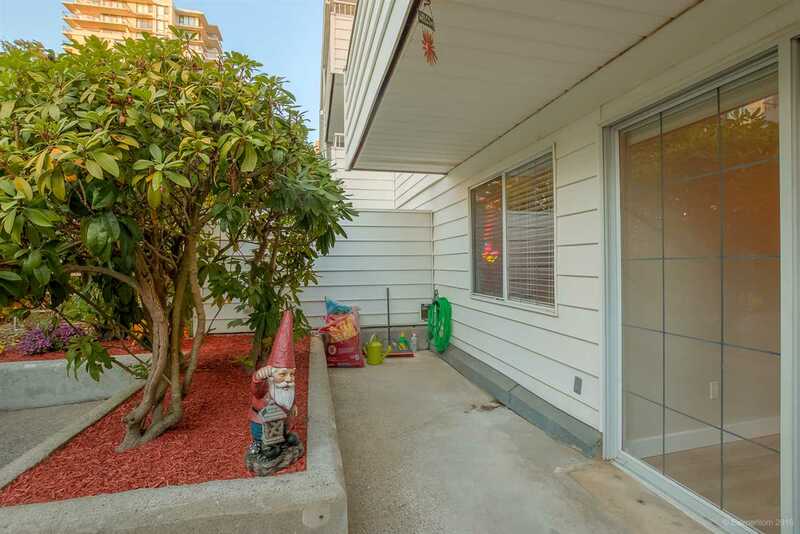 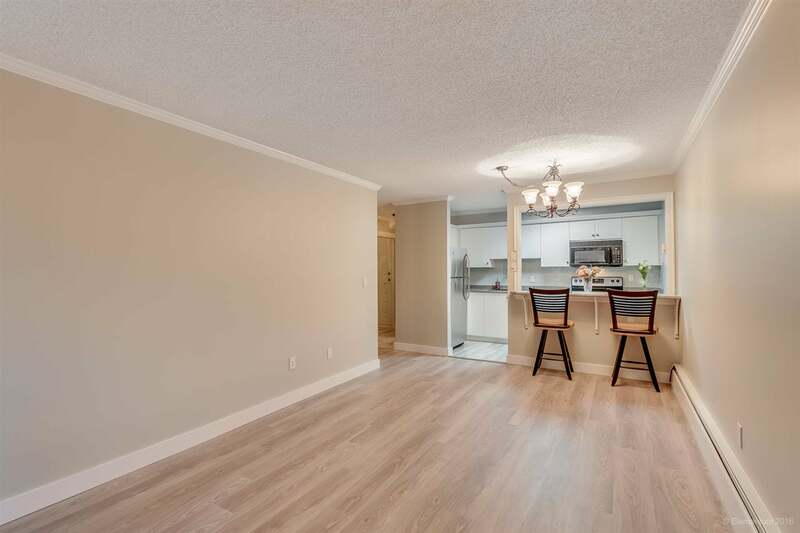 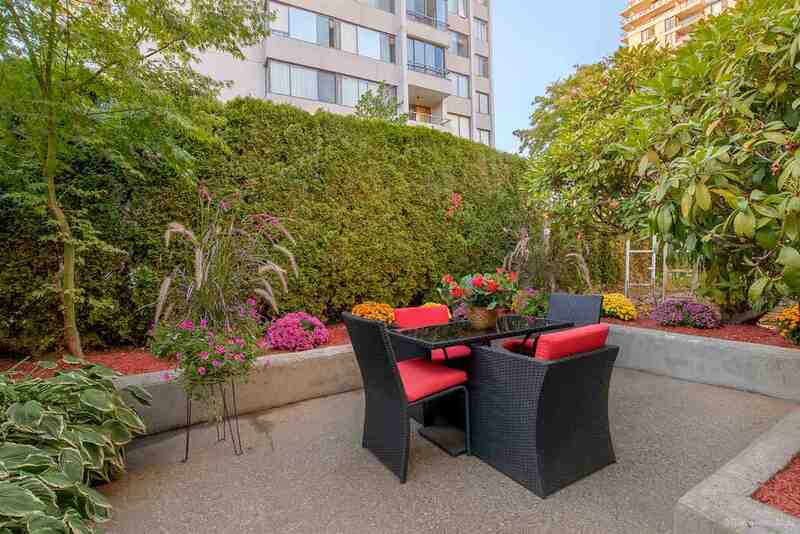 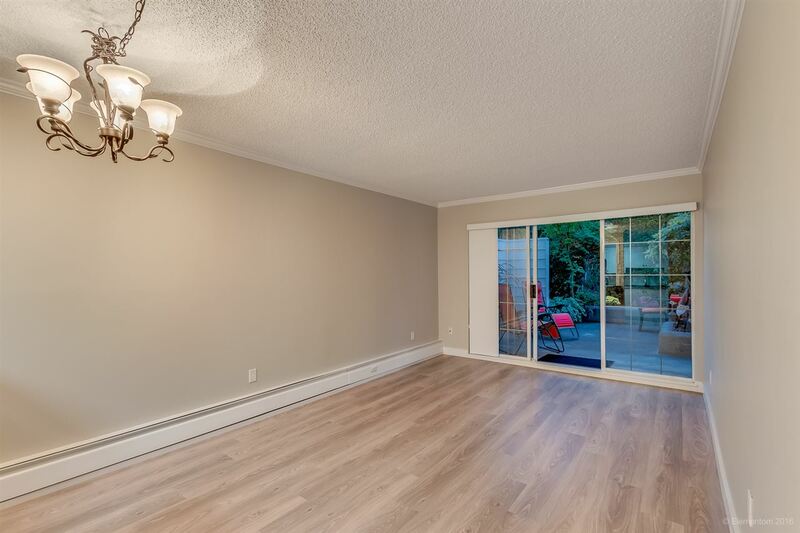 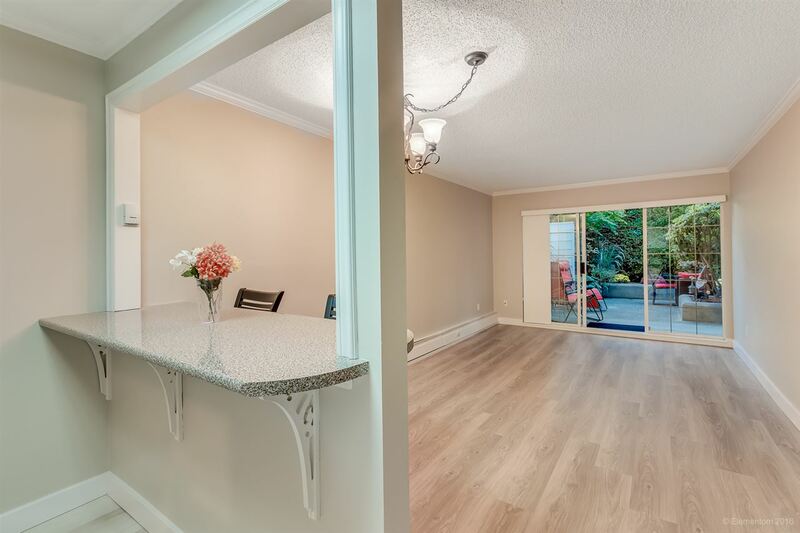 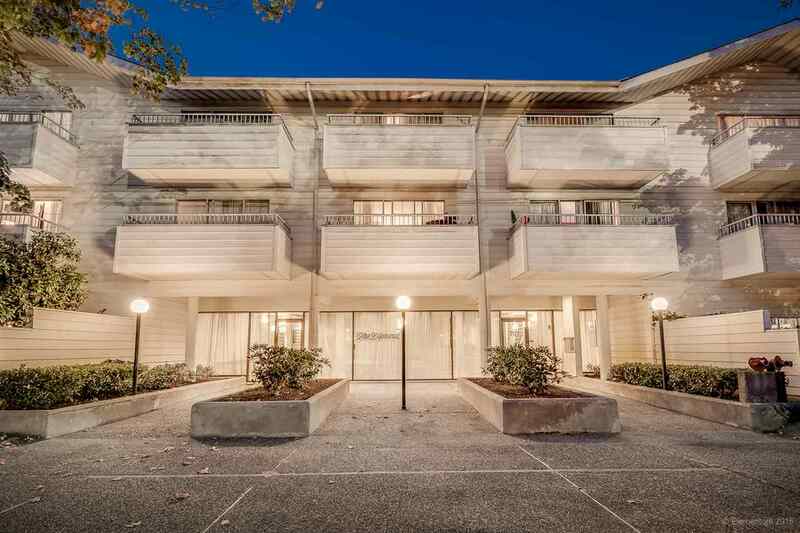 Prime central location in the heart of Uptown New Westminster! 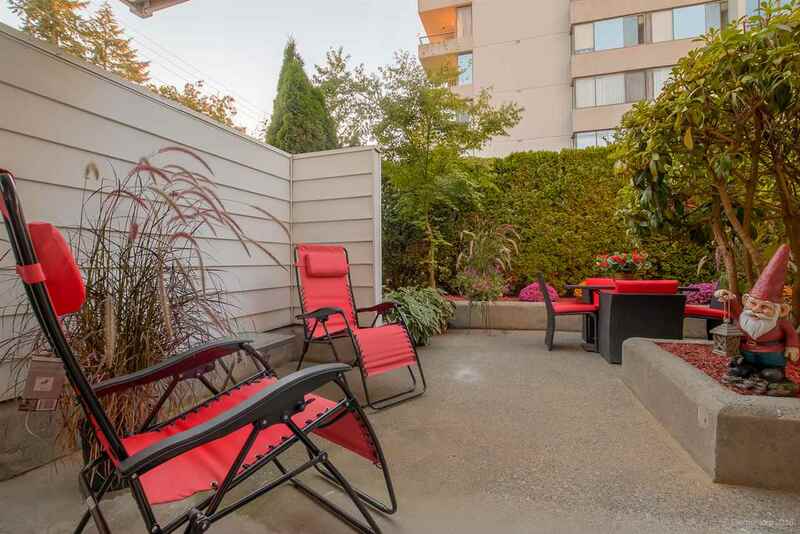 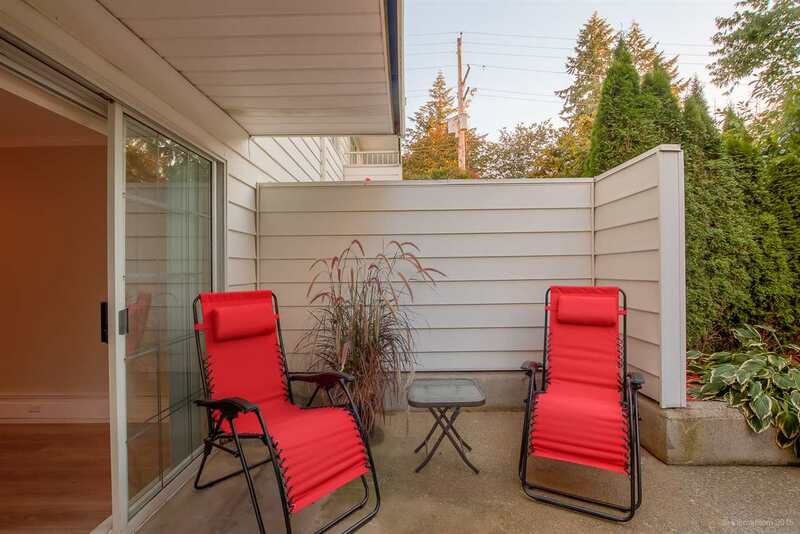 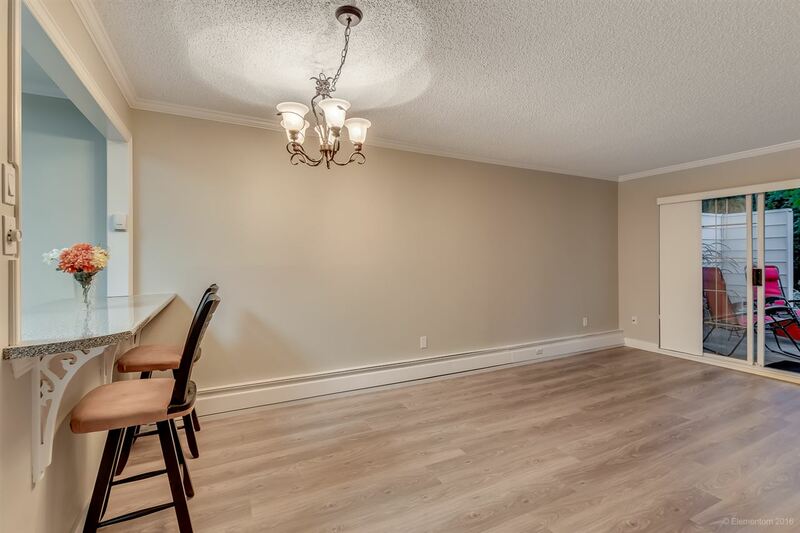 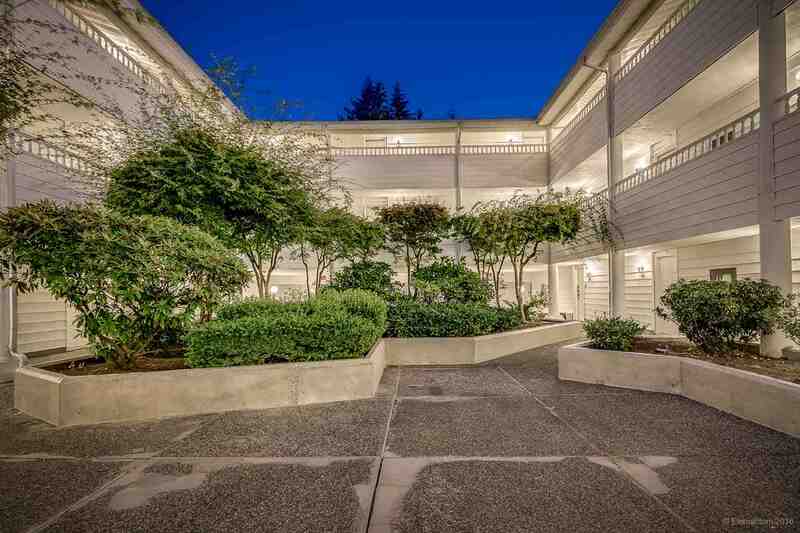 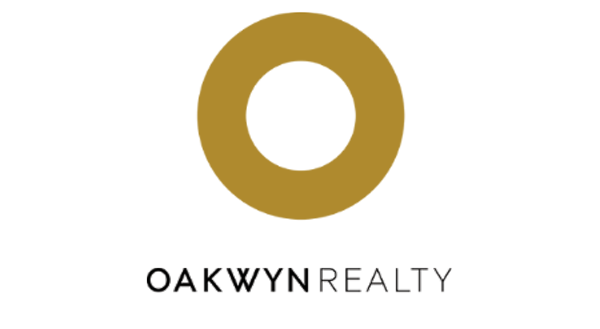 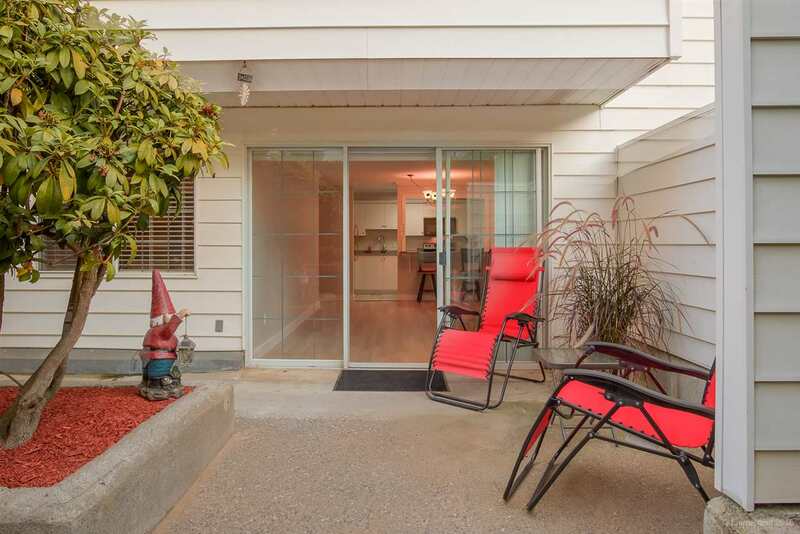 1 bdrm 567 sqft open floor plan condo, ground floor with private garden patio(400 sqft). 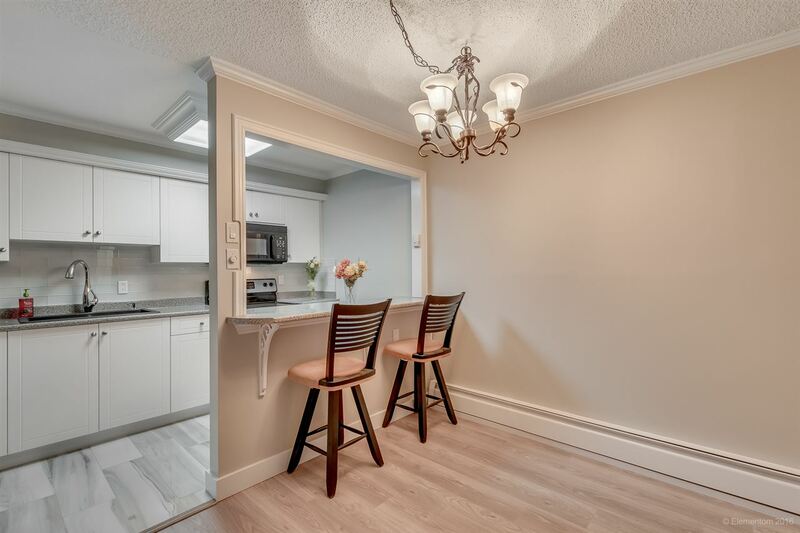 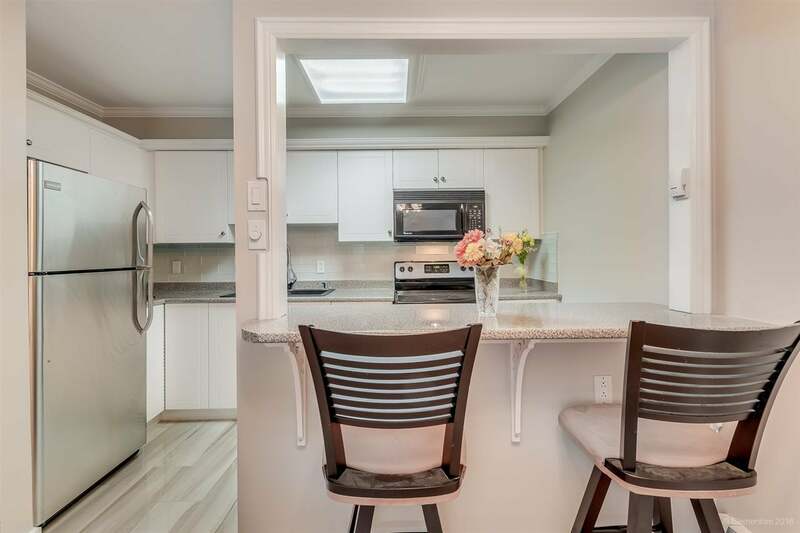 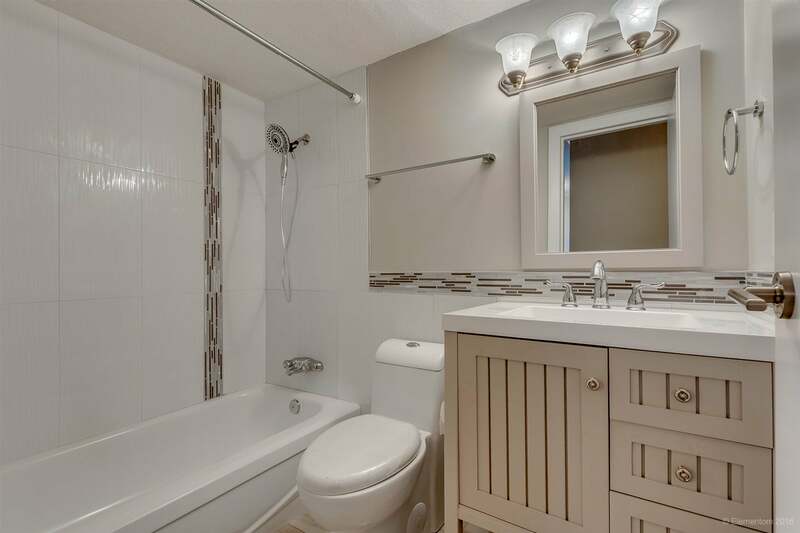 Beautifully renovated and completely move in ready this home has all new custom kitchen with s/s appliances, new laminate floor, updated spa-like bathroom and lighting. 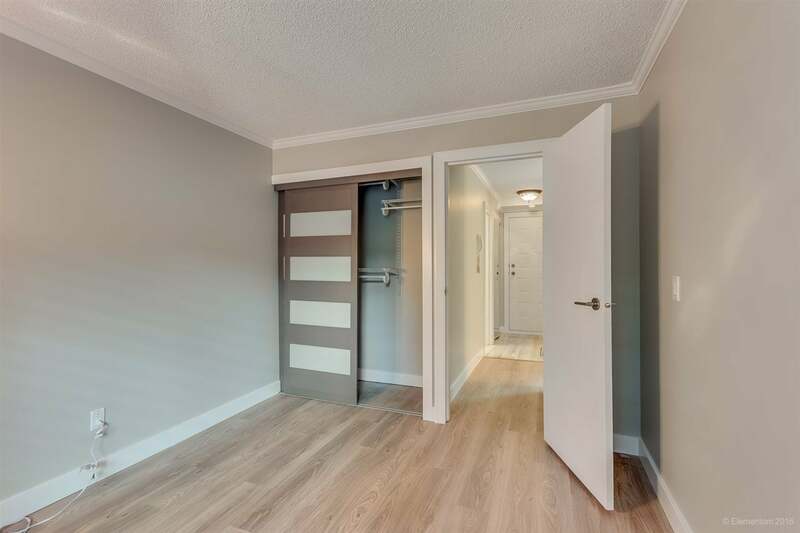 Bonus of a flex pace gives options for either a den or additional in suite storage. 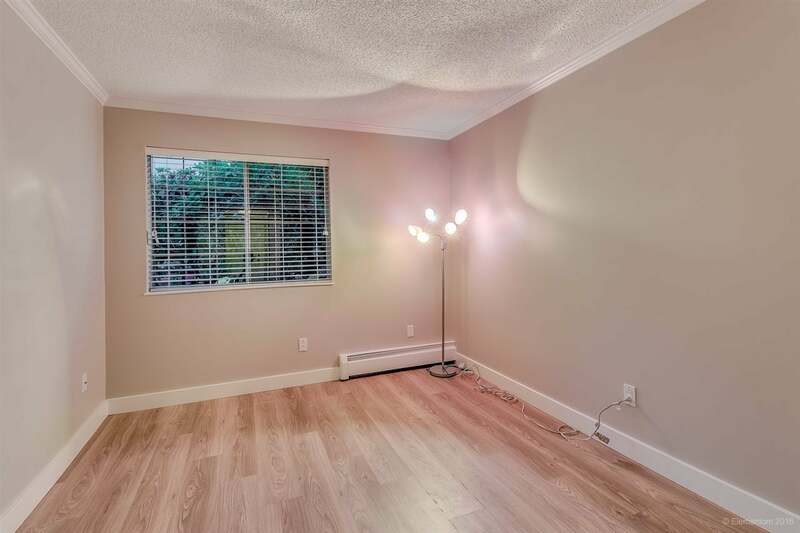 The building has newer roof shared laundry and allows rental. 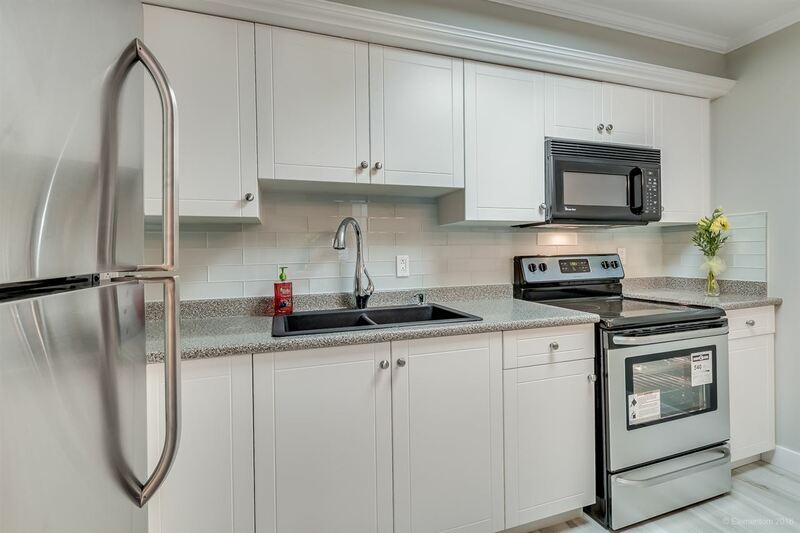 The suite has one parking stall in secure U/G parking and 1 locker. 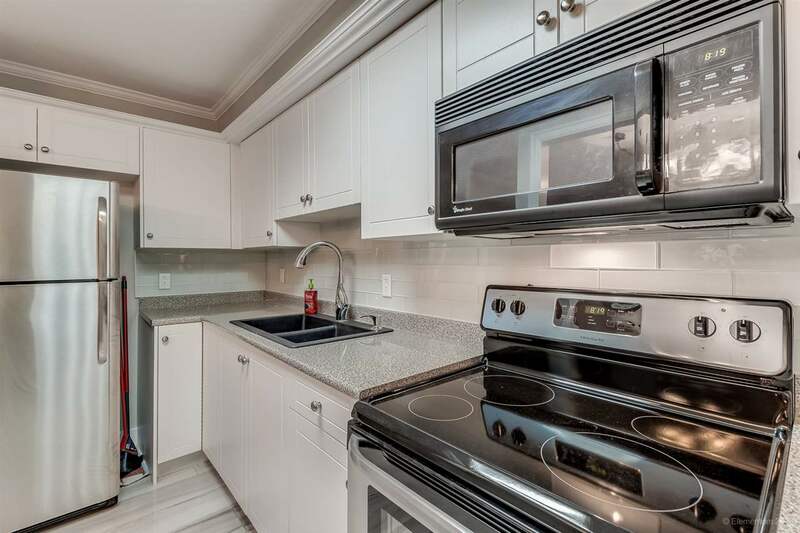 Strata fee includes heat and hot water. 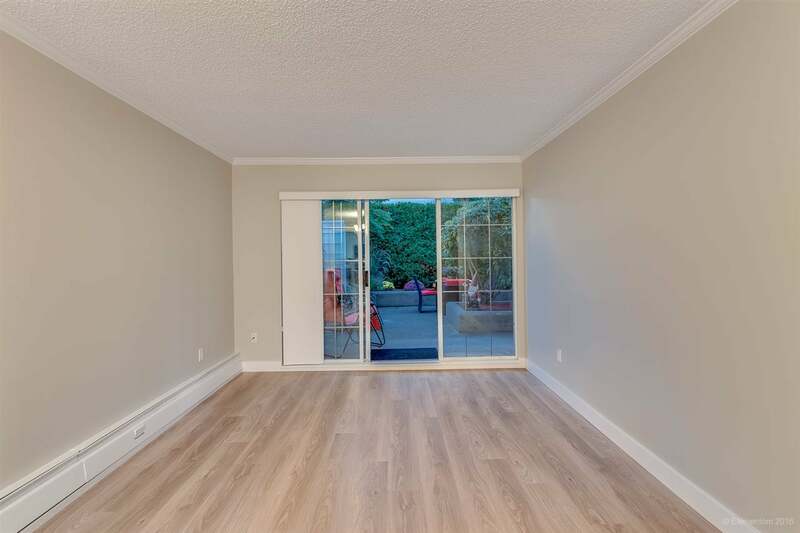 One block to all amenities, three bus stops at your front door, close to Moody Park, Royal City shopping centre and NW civic library.